Sonic expands their shake selection for a limited time this summer with the introduction of new Real Fruit Berry Shakes. 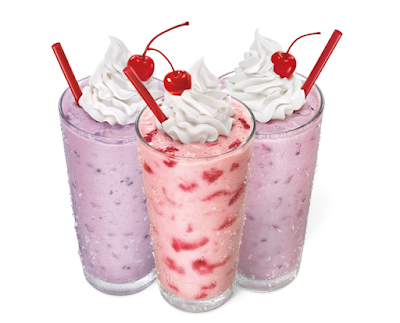 The new shakes feature a blend of ice cream and fruit and come in three varieties: Strawberry, Triple Berry (strawberry and blackberries with raspberry and wild berry flavors), and Blueberry. Like the rest of the chain's shakes, you can get the new Real Fruit Berry Shakes for half the normal menu price after 8 PM all summer long.